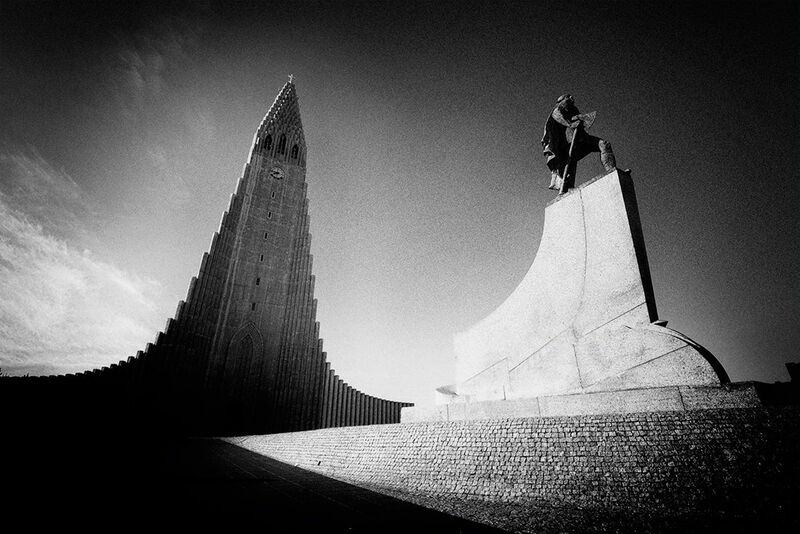 Hallgrímskirkja & Eriksson - Reykjavík, Iceland "The statue of explorer Leif Eriksson (c. 970 – c. 1020) by Alexander Stirling Calder in front of the church predates its construction. It was a gift from the United States in honor of the 1930 Alþingi Millennial Festival, commemorating the 1000th anniversary of Iceland's parliament at Þingvellir in 930 AD. tom (Homepage) wrote: I like your point of view. Excellent!